It’s Payday folks. Greetings from the Fe y Justicia Worker Center in Houston, Texas, where Payday is reporting on the one-year anniversary of Hurricane Harvey and the effect that it has had on workers here. Payday just wrapped up a great visit to Austin, where we met with leaders of the Texas labor movement to discuss why the labor movement continues to gain thousands of members in the state. Payday is out on the road interviewing people, but we plan to start to release stories early next week and continuing through the rest of the month. Three weeks ago, we left Pittsburgh and since then have driven over 1,700 miles all the way down to Houston, Texas. To travel so much and use rental, we use comprehensive car insurance, which costs us $92. Pitch in to help us stay on the road. Earlier this week, Payday broke details of a new lawsuit that accuses SEIU Vice President Dave Regan of both sexual misconduct and knowingly hiring union staffers, who had been dismissed due to charges of sexual misconduct. Now, Regan is being accused of drunkenly assaulting a California Assemblyman Richard Bloom (D-Santa Monica) following a disagreement with political opponents at a downtown Sacramento restaurant. Regan has denied the incident. However, Bloom reported the incident to the Assembly Rules Committee to take further action and multiple witnesses have backed up Bloom’s version of events. “From the short period of time that I witnessed the altercation, Mr. Regan appeared belligerent,” California State Senator Ben Allen (D-Santa Monica) told the Sacramento Bee. Despite having reached out to SEIU more than three days ago, SEIU has yet to respond to a request for comment on the most recent allegations leveled against SEIU VP Dave Regan. Equally shocking is the fact that Payday Report is the only outlet on the left that has covered the lawsuit against SEIU for sexual misconduct. So far, only the right-wing, anti-union Daily Caller and Washington Free Beacon have covered the lawsuit. Overall, the only other outlets that covered any of the various sexual assault allegations at SEIU were Bloomberg, Buzzfeed, and the Boston Globe. As a labor movement, it’s important that we shape the conversation around the problem of sexual misconduct in the labor movement. Donate to Payday so we do the time-intensive work of taking to those who have experienced sexual misconduct in the labor movement. Earlier this year, Payday covered the dramatic raid on a meatpacking plant in Morristown, Tennessee that saw 97 undocumented workers retained. Too many immigrant worker advocates, the fines confirm a hard reality of the conditions that many immigrants face in the industry. Prisoners at sites spread among 17 states started a 19-day long prison strike designed to draw attention to the exploitation that prisoners, often making only a few cents an hour, make while working during their incarceration. This week, 200 immigrants detained at the Northwest Detention Center (NWDC) also joined the strike, with more than 60 of them going on hunger strike. 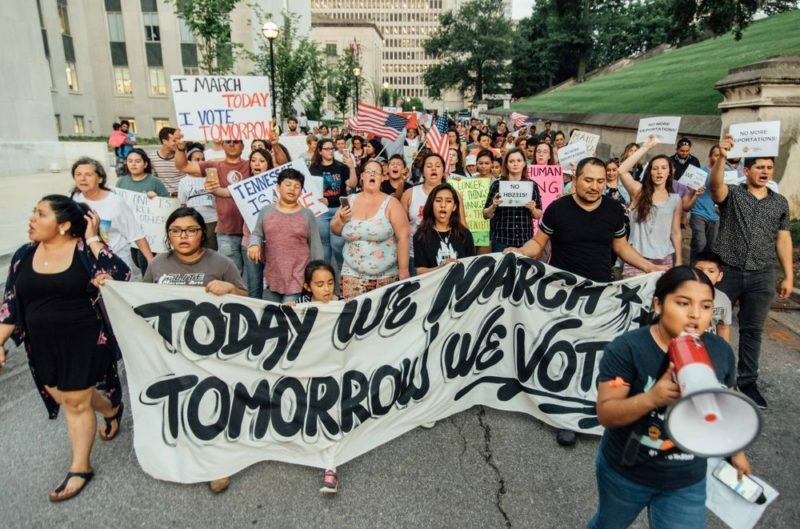 “We are taking part in a hunger strike nationwide demanding change and closure of these detention centers, we are acting with solidarity for all those people who are being detained wrongfully, and stand together to help support all those women who have been separated from their children, and to stop all the family separations happening today for a lot of us are also being separated and we have U.S. citizen children,” the group NWDC Resistance posted on their facebook page. AFT Issues Report Calling on Pension Funds to Divest from Immigration Detention Centers. Earlier this month, the American Federation of Teachers issued an “Asset Watch” Report calling on public pension trustees with more than $3 trillion in assets to divest from private prison companies investing in the detention of immigrants. The report found that 27 major public pension funds, including Renaissance Technologies and Wellington Management Group, had more than $4 billion invested in private prison corporations. “Hedge funds that invest in private prisons are not only profiting off a broken justice system and abetting the administration’s policies of family separation and the permanent harm it has caused children. They are also making a risky bet on an industry rightfully under siege,” said AFT President Randi Weingarten. “Trustees have a fiduciary duty to ensure workers’ capital is invested in a fiscally prudent manner”. The AFT plans to release another in-depth report on private prison corporations that incarcerate communities of color in September. The AFT earlier this year received national headlines when they went after banks and pension funds that supported the NRA. Machinists Primed for Key Union Vote in North Carolina. After winning a victory in May, when 170 flight line mechanics voted to unionize in South Carolina, the Machinists are turning their attention to attempting to unionize 180 HAECO employees who are making airplane parts spread out in three cities across North Carolina. This week, the union filed for an election with the NLRB and expects to hold a vote in a few weeks. “This is the first step in the process to help HAECO America workers gain dignity in the workplace and create better lives for their families,” IAM lead organizer Michael Evans told the Greensboro News and Record. Writing earlier this month in the Guardian, Payday Senior Labor Reporter Mike Elk highlighted the ongoing rollback of the rights of over 12 million federal contract workers. Today, the Department of Labor issued new guidelines that make it dramatically easier for companies to discriminate based on pay. A document released Aug. 24 by the Office of Federal Contract Compliance Programs takes a more business-friendly approach to the auditing process. The previous practice was to look only at statistical data when evaluating pay discrimination. For more, go to Bloomberg BNA. — Folks, if you haven’t had any chance to check out Afropunk Solution Sessions podcast, be sure to check out my “Mt. P homie” Bridget Todd and Yves Jeffcoat (Yves Mt. P connections are unclear to Payday Report at this time, but she seems dope). Check out this brilliant Afropunk Solution Sessions podcast on the role of PTSD from racial trauma and the need for more anti-racist focused education in our schools to combat this trauma. — Another fellow Woodland Hills High School Alumni, LaToya Ruby Frazier, the MacArthur Genius Grant winner, has her award-winning photography of Braddock featured this week in the Guardian. 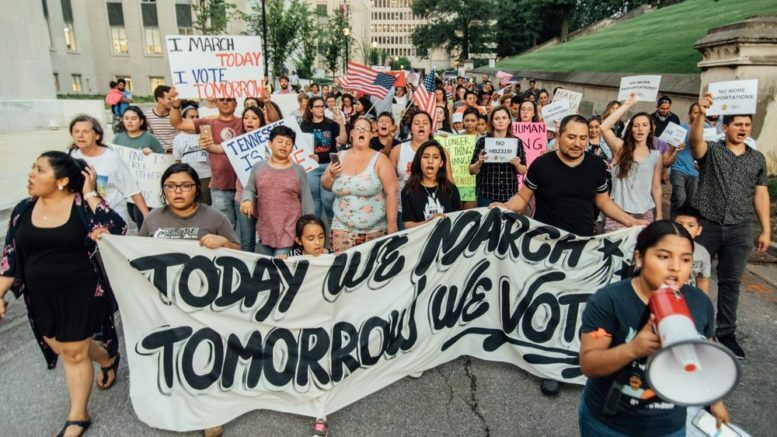 Be the first to comment on "Machinist Move to Major N.C. Union Vote – 200 Immigrant Detainees Strike – SEIU Stays Silent On Sexual Misconduct Suit"